Just finished my premier trial a few days ago. I didn't want it because I still have a landline and most of the features like multi-ring work with just Ooma only. I began to have call waiting issues right after the trial expired -- callers would only get a busy signal when I was on the other line. Made a call to Ooma last night and said they would begin the process to provision call forwarding busy. Fine, not a big deal and that should take care of it, I just want call waiting like promised as one of the Ooma core features. Just got a voicemail a few minutes ago saying that I had to purchase Premier before Ooma would provision call forwarding busy. Is this correct? I have to purchase Premier, and add call forwarding busy before I can get the call waiting service advertised as an Ooma core feature? I sure hope not. "Call forwarding busy" is not the same as simple "call waiting"
Yeah, that's what I understand. But it's not working for me. 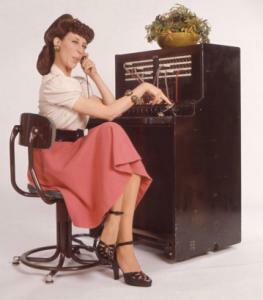 All callers get a busy signal when I am on another call. ooma User Guide, page 2, Landline Provisioning. Just got off the phone with customer service. They said that call waiting doesn't work with just the Core service and a landline. How can that be? That's the first I've ever heard of that. I was told last night that getting call waiting through my local phone provider would not solve anything yet this afternoon I was told that I should and everything would be fine. Very dissatisfied at this point. Anyone else have just Ooma core with a landline and are getting call waiting without having to purchase it through your phone provider? Like I stated, read page 2 in the user guide concerning provisioned landline. Now if you have an ooma number only, with no provisioned landline, call waiting, caller ID and voicemail are all bundled features. WayneDsr wrote: Like I stated, read page 2 in the user guide concerning provisioned landline. That's not all that clear in there. So if I do retain call waiting from my phone carrier, will it work 100 percent of the time? I was told two different things from CS regarding that. Last edited by brent2001 on Thu May 07, 2009 10:06 am, edited 1 time in total. I think many of us use ooma and also have a landline - but have chosen to keep the lines separate. In my case, I have a real financial carrot for keeping a certain level of landline service because my DSL "package" is less than half the cost of a dry loop DSL connection for the first year. I needed ooma as an additional line so both my wife and I could be on the phone at the same time. I also wanted to have free long distance calling. ooma does all that and throws in a lot of core features, all without Premier. I chose to have separate cordless phones for each line. My landline rings on several wired handsets (great for power failure) and 3 cordless bases with 5 handsets. My ooma rings on a Uniden 1580 with 2 handsets, but it is expandable if I feel the need. I don't often give out the ooma number so most of our calls ring to the landline. If the wife and I are going to be "busy" (wink, wink) I can call ooma from my landline and have assurance that none of the phones are going to ring. For me, it is the perfect setup. I think WayneDSR has a similar setup but uses 2-line phones. southsound wrote: I think many of us use ooma and also have a landline - but have chosen to keep the lines separate. In my case, I have a real financial carrot for keeping a certain level of landline service because my DSL "package" is less than half the cost of a dry loop DSL connection for the first year. I needed ooma as an additional line so both my wife and I could be on the phone at the same time. I also wanted to have free long distance calling. ooma does all that and throws in a lot of core features, all without Premier. Do you have call waiting through your landline carrier? My setup is different. My house is poorly wired and has just one working phone jack.